The Japanese government deems internet issues to be highly significant in today’s society. The government formulated the concept of ‘e-Japan’ in 2000, when it decided to encourage the country to become more IT-focused, and the IT Basic Act became effective in 2001. The government’s positive attitude towards the internet can be seen by some of the measures that have been taken. One of them is evident in ‘internet-TV’, which was set up by the Japanese government in 2005. Through internet-TV, the government broadcasts a great deal of information relating to governmental measures, foreign policy, daily life and so on, directly to the Japanese people. In addition, some of the programmes on internet-TV are broadcast in English to provide people all over the world with information on Japan. Another example can be seen in the government’s positive attitude to ‘e-government’ or ‘e-application’, by which certain applications can be filed with the government through the internet. Japan has many laws and regulations governing business on the internet. First, the IT Basic Act is the principal legislative instrument governing internet-related issues. Second, the Civil Code, the Consumer Contract Act and the Act on Specified Commercial Transactions are the main legislative instruments for dealing with e-commerce. And third, some intellectual property laws can be applied to internet-related issues. The Act on the Protection of Personal Information, the Premiums and Representations Act and the Provider Liability Limitation Act can also be applied. Because there have been so few internet-related cases brought before the courts, it can be difficult to understand how internet-related legislation can be applied. 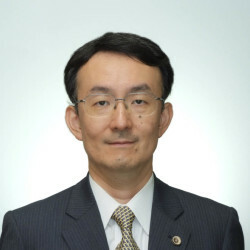 Thus the Ministry of Economy, Trade and Industry (METI) has published the Interpretative Guidelines on Electronic Commerce and Information Property Trading on its website. These guidelines explain, with examples, how internet-related laws can be applied in certain situations. The regulatory bodies are the Cabinet Office (CO), METI, the Ministry of Finance (MoF) and the Ministry of Internal Affairs and Communications (MIC). The CO is responsible for general regulation; the METI is responsible, mainly, for the regulation of e-commerce; the MoF is responsible for taxation; and the MIC is responsible, mainly, for general communication for networks forming the internet. In Japan, under the Code of Civil Procedure, the courts may generally exercise jurisdiction over defendants residing or located in Japan even if they provide goods or services from outside. This is the case even where the defendants are non-residents and located in foreign countries, if certain conditions are met; for example, if performance of the obligations under the agreement concluded between the parties is made in Japan, the courts can generally exercise jurisdiction. In addition, in a case where the agreement is concluded between a consumer and a business operator, if the address of the consumer at the time of filing a lawsuit is in Japan, the courts can generally exercise jurisdiction. The same can be said for internet-related transactions or disputes. However, where there is some extraordinary circumstance meaning that it would be unfair or against the principle of an expeditious trial, the courts may dismiss the action without prejudice in whole or in part. It is possible to form and conclude contracts electronically. While a normal contract between persons at a distance shall be formed upon the dispatch of a notice of acceptance, an electronic contract shall be formed at the time of arrival of the notice of acceptance to the other party. Contracts can be formed by just clicking the ‘I agree’ or ‘I accept’ button, which signals acceptance of the vendor’s terms and conditions and means ‘click wrap’ contracts are enforceable in Japan. However, some requirements must be satisfied for click wrap contracts to be enforceable. The Interpretative Guidelines on Electronic Commerce and Information Property Trading mentioned in question 2 require both the vendor’s terms and conditions to be clearly shown on the screen when engaged in online transactions and the user to agree with the vendor’s terms and conditions by clicking the ‘I agree’ or ‘I accept’ button as conditions to effect such transactions. When the vendor’s terms and conditions are only posted on the website, and are not easy to notice, and users are not required to click the ‘I agree’ or ‘I accept’ button to the vendor’s terms and conditions for the use of such website, the click-wrap contract is not enforceable. The Civil Code, the Consumer Contract Act, the Act on Specified Commercial Transactions and the Electronic Contract Act can be said to be the main laws. The Consumer Contract Act, the Act on Specified Commercial Transactions and the Electronic Contract Act distinguish between business-to-consumer and business-to-business contracts. They have provisions for protecting consumers in contracts between businesses and consumers. Under provisions relating to internet transactions, treatment of consumers’ erroneous transactions is important. Under the Civil Code, if there is gross negligence on the part of the consumer, the business entity can assert a contract to be valid even when a consumer has operated erroneously. However, under article 3 of the Electronic Contract Act, the business entity can assert a contract to be valid only when it has taken measures to confirm the consumer’s intention (eg, by presenting an opportunity for the consumer to confirm the content of an offer before making his or her final acceptance, or if the consumer has expressly abandoned any need for confirmation). Under the Act on Electronic Signatures and Certification Business, the term ‘electronic signature’ is defined as a measure taken with respect to information that can be recorded as an electromagnetic record. A record that is made in order to express information is basically presumed to be established authentically if the electronic signature is performed by the principal with respect to information recorded in such electromagnetic record. No. In Japan, no special form is generally required for the formation of contracts. The same applies to the formation of electronic contracts. Under the Act on the Protection of Personal Information, and some other laws, persons handling information are obliged to take the necessary and proper measures for the prevention of leakage, loss or damage, as well as other security control measures for personal data. However, details of such measures are not provided in the Act on the Protection of Personal Information. Encryption is recommended in terms of the security of internet transactions, but is not mandatory. It should be noted that companies or ISPs without sufficient internet security may become liable under the Civil Code for any loss or damage suffered by the parties owing to the insufficiency of security. Regarding the security system constructed by companies, the Interpretative Guidelines on Electronic Commerce and Information Property Trading, mentioned in question 2, explain banking practices as follows: if a customer agrees to a personal identification method that is incorporated as a general clause into a contract (banking clauses) and if the agreed identification method had been used at least once previously, remittance is valid so long as the personal identification method is properly performed, even when effected by a hoaxer. The validity of these clauses is judged by assessing the level of the security system of the bank. Based on existing technology, in the case that multiple passwords are used for personal identification, and data is transmitted after being encrypted using SSL, a disclaimer in the banking clauses is considered valid. There is no direct rule or regulation permitting authorities to require private keys to be made available. However, courts or prosecutors could require private keys to be made available. A certification service is permitted in Japan. In addition, under the Act on Electronic Signatures and Certification Business, a person or company that intends to undertake a certification business may obtain accreditation from a competent minister. The certification authority may be liable under the Civil Code. Where a certification authority issues an electronic certificate without adequately verifying the identity of the person, the certification authority may be liable to the certificate recipient. .jp domain names are registered and administered by the Japan Registry Service Co Ltd (JPRS), to which management and administration of .jp domain names were transferred from the Japan Network Information Centre (JPNIC). Applicants can apply for .jp domains through parties designated by the JPRS. Domain names are granted without any examination on the principle of first to file, unless they are the same as already registered domain names. However, it should be noted that the illegal acquisition of a domain name is defined as unfair competition under the Unfair Competition Prevention Act: the act of acquiring or holding the right to use a domain name or using a domain name that is identical or similar to another party’s specific trademark, service mark or the like for the purpose of obtaining illegal profit or causing damage to a party is defined as unfair competition. It is not possible for non-residents of Japan to register domain names with categorised JP domains (.co.jp, .ne.jp). Of course, by being resident in Japan, foreign nationals as well as Japanese nationals can register them. It is also possible for any foreign national to register a general .jp domain name if he or she has a local contact in Japan. Generally, no. However, if a domain names is deemed a well-known indication of goods or business, the owner may seek an injunction or compensation for damages against a person that has infringed or is likely to infringe business interests by using an indication that is sufficiently similar to the domain name as to create confusion with the domain name owner’s goods or business. Yes. The owner of a trademark can challenge the registered ‘pirate’ domain name. As mentioned in question 11, under the Unfair Competition Prevention Act, domain names are granted without any examination on the principle of first to file, so it is unavoidable that domain names similar to registered trademarks are actually registered. This can cover not only the .jp domain names but also other generic top-level domain names (gTLDs), such as .com and .net. 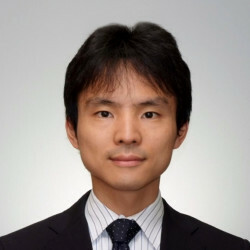 In addition to the litigation process, it is possible to seek dispute resolution through the Japan Intellectual Property Arbitration Centre, certified by the JPNIC, regarding .jp domain names under the JP-Dispute Resolution Policy (JP-DRP). With respect to other gTLD domain names, of course, the dispute resolution procedure is internationally available, and is operated by dispute resolution service provides such as the World Intellectual Property Organization Arbitration and Mediation Center, as certified by the Internet Corporation for Assigned Names and Numbers (ICANN) in accordance with the Uniform Domain Name Dispute Resolution Policy established by ICANN. The owner of the trademark can demand the cancellation of the registered domain name or its assignment to the owner in that settlement. First, there is the possibility that business-to-consumer e-commerce may mislead consumers. Misleading representations are therefore prohibited under the Act against Unjustifiable Premiums and Misleading Representations as well as the Unfair Competition Prevention Act. Regarding this point, the Fair Trade Commission has issued guidelines with respect to representations in business-to-consumer e-commerce entitled ‘Problems and Points of Concern under the Premiums and Representations Act Concerning Representations in Business-to-Consumer E-Commerce’, which set out points of concern regarding representations by businesses. The Consumer Affairs Agency has also issued more recent guidelines entitled ‘Problems and Points of Concern under the Premiums and Representations Act Concerning Advertising Representations in Internet Consumer Transactions’. is prohibited from providing advertisements by electronic means to any targets who have indicated they do not wish to receive such advertisements. Furthermore, certain acts or regulations that regulate specific areas such as pharmaceuticals, health foods and money-lending businesses govern advertising on the internet. No definition of online advertising is provided under the laws and other rules. Online editorial content could be caught by the rules governing advertising depending on its contents and style. Misleading representations are prohibited under the Act against Unjustifiable Premiums and Misleading Representations, which prohibits any representation (i) where the quality, standard or any other content of goods or services is portrayed as being much better than the actual goods or services, or are where the goods or services are portrayed as being, contrary to fact, much better than those of competitors, or (ii) by which the price or any other trade terms of goods or services could be misunderstood by general consumers to be much more favourable than the actual goods or services, or than those of competitors, if they are likely to induce customers unjustly and to interfere with general consumers’ voluntary and rational choice-making. With regard to (i), advertisers have to keep evidence to prove the quality, standard or other contents in question of the actual goods or services, such as the results of experiments or investigations, opinions of experts, or academic literature. These rules apply to all consumer advertising in all industries. Since 2009, only a few medicines could be sold over the internet due to the amended Ordinance of the Ministry of Health, Labour and Welfare. However, after the Supreme Court rendered a judgment in January 2013 stating that this Ordinance was illegal and void, the Pharmaceutical Affairs Act and the Pharmacists Act were amended in December 2013. By this amendment, with regard to non-prescription medicines, only limited and specified high-risk medicines are now prohibited from being sold over the internet. In addition, after the amendment to the Act on Welfare and Management of Animals in August 2012, when selling pets over the internet, it is necessary to show the pets and provide their relevant information to customers on a face-to-face basis. Finally, goods or services that are generally in violation of rules or regulations are not permitted to be sold on the internet. With regard to advertising, the party that makes the advertisement is liable. Therefore, usually ISPs are not liable if they only provide an internet connection environment. However, ISPs may be subject to liability in relation to the unlawful contents if they are inactive with a fault despite a victim’s warning to them following a notice and takedown type request to the ISP as provided by the Act on the Limitation of Liability for Damages of Specified Telecommunications Service Providers. Under the Act against Unjustifiable Premiums and Misleading Representations, a party that makes misleading representations as explained in question 16 can be subject to an order for suspension and payment of a surcharge. There are some regulations that apply to financial services via the internet. First, under the Money Lending Business Act, money lenders are required to indicate their trade name, interest rate of loans and so on, when advertising the conditions of loans. Second, where a financial instruments firm - such as a securities company, investment fund, investment advisory and brokerage company or investment management company - advertises its transactions, such firm must indicate items such as trade name, registration number and so on. These regulations aim to prevent misunderstandings on the information needed for financial transactions. When ISPs fail to delete illegal information sent by users or other messages posted, they may be held liable under the Civil Code, provided that such information apparently infringes another person’s rights and it is easy to delete. However, in some cases, it is difficult for ISPs to decide whether the information infringes another person’s rights and whether it should be deleted. In addition, where the provider bears a contractual obligation to host the information, the provider may be held liable for mistakenly deleting such information, if the information was in fact lawful. So, under the Act on the Limitation of Liability for Damages of Specified Telecommunications Service Providers, the liability of ISPs is limited so as to avoid any civil liability for not deleting information except under certain circumstances by undertaking/effecting a quasi-‘notice and takedown’ under the Act. (iii) if the service provider transmitted the information itself. (ii) where the service provider deleted the information to the extent necessary, if a person claimed that his or her rights were infringed and the provider, for the purpose of determining whether to consent to deletion of the information, inquired as to the opinion of the sender of the information, who did not express any objection to deleting the information within seven days of the date of receipt of such inquiry. As mentioned in question 20, when ISPs fail to delete illegal information sent by users other messages posted thereon, they may be held liable. To prevent exposure to such tort liability, ISPs may be able to shut down a web page containing defamatory material without any third party’s authorisation if it is the only way of deleting illegal information, provided that they follow the requirements under the Act on the Limitation of Liability for Damages of Specified Telecommunications Service Providers as mentioned in question 20. Links to third-party websites are generally possible without permission. However, a website owner has to take care of any liability as described in question 25. In cases where third-party content is copyright-protected, a website owner cannot use it without permission from the third party because this may constitute an infringement of public transmission rights stipulated under the Copyright Act. In addition, where the third-party content is widely known and is used so that users are misled into confusing the business of the website owner with the business of the third party, the website owner may be liable under the Unfair Competition Prevention Act. Potential consequences are injunction, compensation for damage and criminal penalty. Software is copyright-protected under the Copyright Act. When permitted by the copyright holder of the software, it is possible for a website owner to license the software to third parties. A website owner that links to third-party websites may be liable for tort in such cases where the use of information in the linked website aims to make illegal personal profits or to cause damage to the linked website. In addition, in cases where the product identification of the owner of the linked page is configured so that users are misled into confusing the business shown on the linking page with the business on the linked page, the owner of the linking page may be liable under the Unfair Competition Act. Dawn raids by police are possible if the case is under criminal investigation. Although an injunction that prevents the infringer from using the IP is possible, freezing injunctions as to the infringer’s assets are not provided in relation to IP infringement. Provisional attachment under the Civil Preservation Act and attachment under the Civil Execution Act are available for monetary claims including a claim for compensation for damage based on IP infringement, both of which may be similar to freezing injunctions. Injunctions and compensation for damage are available. Civil remedies designed for IP do not include search orders and freezing injunctions (for reference, see question 27). Regarding personal data, the Act on the Protection of Personal Information defines ‘personal information’ as information about a living individual that can identify the specific individual by name, date of birth or other description (including such information as will allow easy reference to other information, thereby enabling the identification of the specific individual). Under the Act on the Protection of Personal Information, a business entity handling personal information shall specify as much as possible the purpose for which such information is used, and expressly inform such person of such purpose when it is obtained directly from the person in writing, including electronically, and, where such personal information has been obtained in some other way, disclose or notify such person of the purpose. A category of sensitive personal information was introduced by the amendment of the Act in 2015 (effective as of 30 May 2017). Sensitive personal information includes information relating to race, creed, social status, medical history, criminal record, fact of being a victim of crime and other descriptions which require special consideration in handling to avoid unjustifiable discrimination, prejudice and other disadvantages. Obtaining sensitive personal information without the consent of the person is not permitted. Also, the opt-out method mentioned in question 32 is not available for sensitive personal information. Provisions regarding anonymisation were also introduced by the amendment of the Act in 2015 (effective as of 30 May 2017). Customer consent is not required to provide anonymised information to a third party, provided that the items of the information included in the anonymised information and how to provide it to a third party are made public. No registration with any regulator or governmental organisation is generally needed for a website owner to process personal data. The law does not prescribe the appointment of an in-house data protection officer. the provision of personal data is necessary to cooperate with a state organ, a local government, or an individual or business operator entrusted by one in executing affairs prescribed by laws and regulations and in which obtaining the consent of the person involved is likely to impede execution of the affairs. Generally speaking, the Act on the Protection of Personal Information does not apply to organisations outside Japan unless such organisations are doing business in Japan. Individuals residing outside Japan can be protected by the Act if other requirements for protection are fulfilled. When a business operator obtains personal information from a customer, the information can only be provided to a third party on the basis of customer consent. There is also an opt-out method provided in the Act on the Protection of Personal Information, which can be used in practice. Such sale is supposed to be possible if the consent of the website users to that effect has been obtained. Although no particular liability specially designed for such sale is provided under the laws, general civil liability should apply to the seller and buyer in the case of divulgation of personal data, for example. Yes. A business operator handling personal information shall not handle personal information about a person without obtaining the prior consent of such person, beyond the scope necessary to achieve the purpose of utilisation. So, if the scope of utilisation in a certain business purpose, which is shown in advance to the person, does not include profiling to target advertising on its website, a business operator cannot do so without obtaining the prior consent of the person involved. No particular law or judgment on profiling to carry out targeted advertising exists so far. There is no data breach notification law in Japan. However, under the Act on the Protection of Personal Information, the government is obliged to establish a basic policy on the protection of personal information to ensure the comprehensive and integrated promotion of measures for the protection of personal information. The Japanese government has established such a policy, in which it states that it is important for a business entity to disclose to the public the fact of any data breach as soon as possible so as to prevent secondary damage being caused by such data breach. There is no cybersecurity law specific to e-commerce. Although there is a Basic Act on Cybersecurity, it is not particular to e-commerce. There are no statutes concerning the ‘right to be forgotten’. Japanese courts do not seem to recognise the right to be forgotten independently. In 2016, in an appeal of a case in which the district court granted the right to be forgotten for a claim to delete search results on Google that revealed information about the past criminal activity of the petitioner, the Tokyo High Court held that it is not necessary to judge whether an injunction based on the right to be forgotten exists separately from whether an injunction based on the right to reputation or the right to privacy exists. The Supreme Court affirmed the ruling of the Tokyo High Court. Although the Supreme Court did not directly mention whether it recognises the right to be forgotten, judging from this result, Japanese courts do not seem to recognise the right. Under the Act on Regulation of Transmission of Specified Electronic Mail and the Act on Specified Commercial Transactions, an opt-in approach is being adopted. Under these Acts, advertisements shall not be provided by electronic means to any target unless he or she has demonstrated his or her wish to receive such advertisements. to demand cessation of utilisation or deletion of his or her personal data if the personal data is used beyond the scope necessary to achieve the purpose of utilisation or was obtained unjustifiably. Additionally, a general civil remedy is available in the case of divulgation of personal data, for example. Online products transmitted domestically are subject to consumption tax, and as such they are treated the same as non-online products traded domestically. On the other hand, online products transmitted from foreign countries are not subject to consumption tax, while non-online products imported from foreign countries are. Regarding tariffs, the Japanese government has maintained a policy of not imposing them on the sale of online products, and, as such, online products are treated differently from non-online products imported from foreign countries. Tax liabilities generally arise at the source where income is obtained. So, even if operators incorporated in Japan place their servers outside Japan, this does not generally have any effect on tax liabilities; they will generally be subject to tax liabilities in Japan. On the other hand, if operators incorporated outside Japan place their servers in Japan, they will not generally be subject to tax liabilities in Japan as long as the source of the income remains outside Japan. A company incorporated in Japan will usually be taxed in Japan. After incorporation, every company shall submit a notification of incorporation to the competent district director of the tax office, which makes it possible for domestic internet sales companies to be taxed; on the other hand, a foreign company with a permanent establishment in Japan is liable for some taxation. Such company is obliged to nominate an administrator for tax payments. Every company is obliged to submit a tax return certificate to the competent district director of the tax office. This is not a common practice in Japan. However, transfer-pricing problems may arise from customers returning goods to an onshore retail outlet of an offshore company, if the transfer price from the offshore company to the onshore retail outlet is higher than the arm’s-length price. Hosting and promoting betting and gambling are prohibited and subject to criminal penalty in Japan, except for horse racing and participating in national lotteries and so on, which are specially permitted for certain entities and strictly regulated with governmental or municipal permission under the law. There is no prohibition or penalty against the purchase of betting tickets on horses through online means. After the amendment to the Lottery Ticket Act in April 2012, lottery tickets can be purchased through the internet. Online gaming businesses are not prohibited and, in reality, many online gaming companies conduct business in Japan. As mentioned in question 43, hosting and promoting betting and gambling are generally prohibited in Japan. Online casinos and betting websites are also generally prohibited and may incur criminal penalties. However, some online gaming business companies provide casino games. Online casino games are not considered as casinos in themselves, but rather as games; therefore it is not considered illegal for such companies to provide (online) casino games. One of the key legal issues relevant in outsourcing is the actual enforceability of the outsourcing agreement. In cases where Japanese companies outsource the provision of services, it is often common for companies to insert provisions into the outsourcing agreement limiting their liabilities and reserving their rights as much as possible. However, in cases, for example, where defects in products or leakage of information caused by the outsourced companies leads to damage or injury to consumers in Japan, the outsourcing company cannot be totally exempt from liability under the Civil Code or Product Liability Act even if its liabilities are limited in the agreement. In addition, it cannot be entirely precluded that the outsourced companies outside the jurisdiction may file an application in their countries for intellectual property rights that are almost the same as those licensed by the outsourcing companies or generated by the outsourced companies on the basis of the activities provided in such agreement. There is no direct rule or regulation regarding employees who previously carried out services that have been outsourced. However, under the Japanese Labour Contract Act, dismissal is strictly prohibited for a company during normal economic conditions, and so cannot be justified on the grounds that services were outsourced. In such cases, the company may have to maintain employment by giving employees other jobs by transferring them to a different position or location of work. A website provider that mistakenly provides information leading to a third party’s loss or damage may actually be liable just for providing the information. A website provider that provides information owing to a third party’s contribution may be liable only when such information apparently infringes another person’s rights and is easy to delete, which is basically the same as the liability of ISPs mentioned in question 20. In Japan, some databases are copyright-protected. So, if people use copyright-protected databases, a website provider can stop them from using or reproducing data for commercial purposes. A website provider sometimes uses technological restriction measures for those databases to prevent other people from using or reproducing data. Making such technological restriction measures ineffective without permission may be prohibited under the Unfair Competition Prevention Act as well as the Copyright Act. In April 2017, an amendment of the Payment Services Act, which introduced a registration system for virtual currency (or cryptocurrency) exchange service providers. This amendment aims not only to regulate cryptocurrency trades but also to encourage them under the supervision of administrative agency (the Financial Services Agency (FSA)) in accordance with a law. However, in January 2018, one of the crypt0currencies, NEM, was stolen from one of the Japanese virtual currency exchange service providers by hacking. The amount stolen was reportedly equivalent to approximately US$500 million reportedly. In response to this incident, the FSA is strengthening its surveillance of, and guidance for, virtual currency exchange service providers and seems to be tightening the practical standards of their registration.